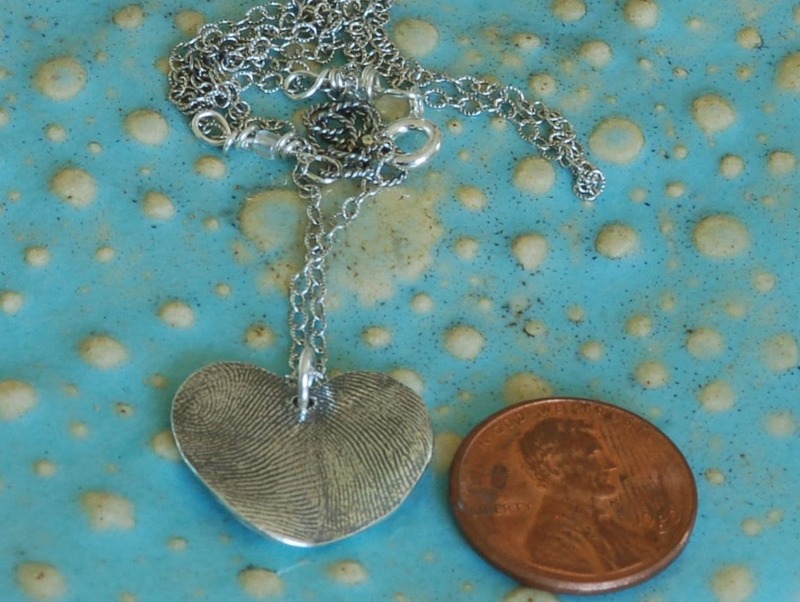 2 hearts, 16 inch necklace and 18 inch necklace. 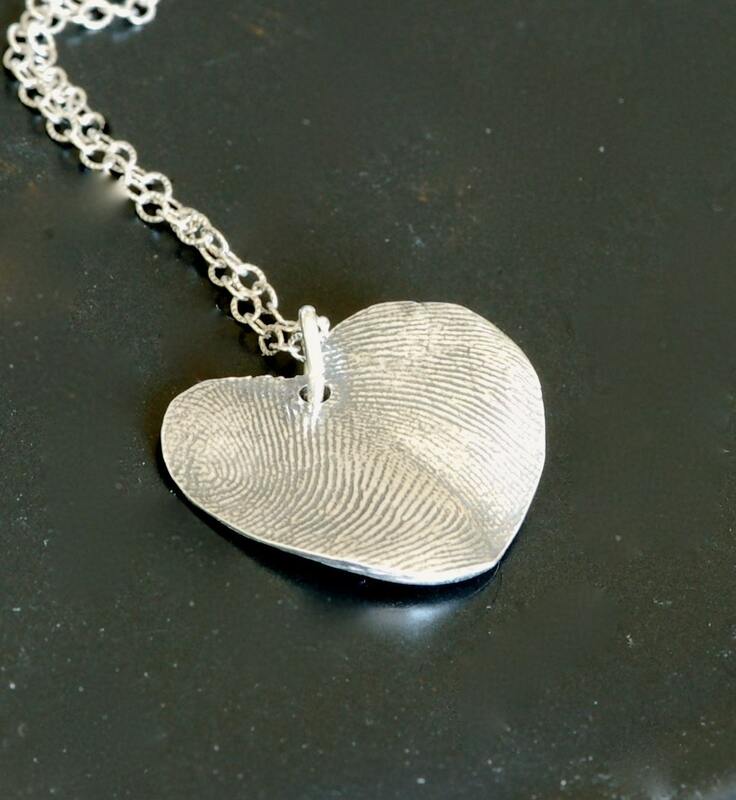 A heart shaped pendant is created by the impression of the kids prints for a keepsake gift. I will send you the mold material first...you create the mold and send it back to me. 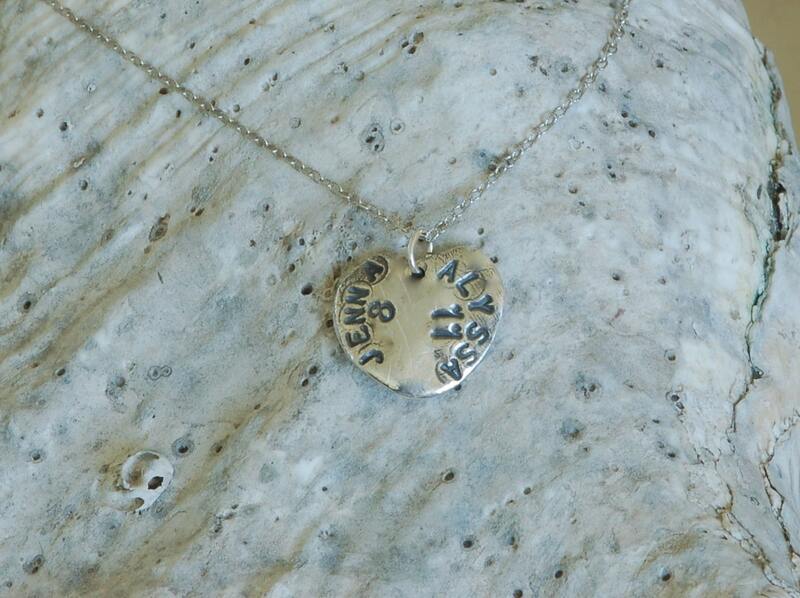 Then I will make the charm and send it back to you! 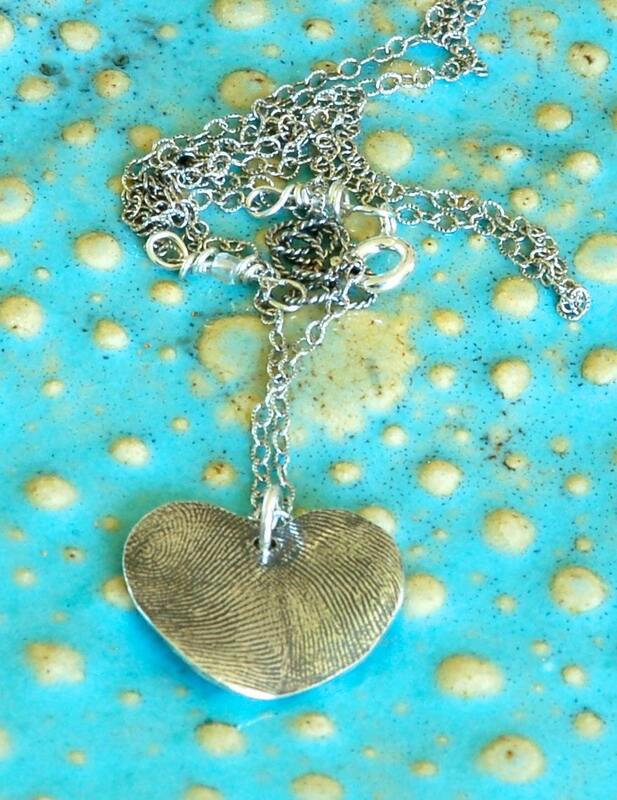 A very special gift idea!!! You create the look of the charm based on the impression you make with your children. So precious!